Our local team are your Tasmanian battery experts, providing you with the very best advice on the complete Marshall Battery range of products and related battery accessories. 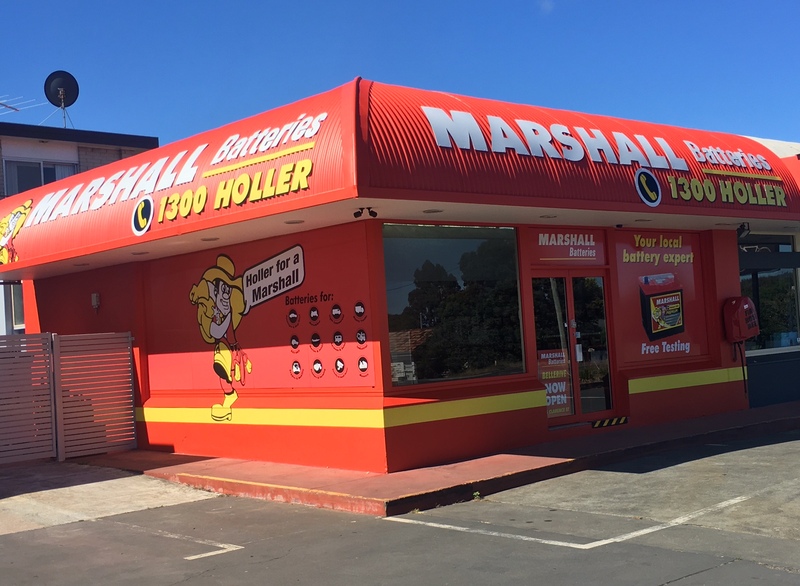 With sound advice and the ultimate battery solution, Marshall Batteries Bellerive is the one stop battery shop. Not only do we do car batteries, 4WD batteries and truck batteries, we are also specialising in boat batteries and lawnmower batteries along with all related battery accessories. Our huge range includes motorcycle batteries, lawn mower batteries, and battery products as well as a massive range of farming and tractor batteries for Agricultural purposes. For the best quality and battery prices, contact us today. If you need a solar or industrial deep cycle battery, 4WD battery, Quadbike battery or even a forklift battery in the Bellerive area, we can assist you with the best product for your needs. We have a range of battery technologies including sealed maintenance free, hybrid batteries, (EFB) enhanced flooded batteries, (AGM) absorbed glass matt batteries, maintainable batteries, spill proof batteries, deep cycle batteries, gel batteries, valve regulated lead acid batteries and cylindrical wound AGM batteries. Our batteries are specified to car battery OEM requirements or greater and provide specialist fitment of all automotive also marine batteries. We can meet your battery budget no matter what by offering a good battery, better battery or best battery range, all with free extended, nationwide warranty. Marshall Batteries Bellerive services Bellerive and the surrounding areas, so if you need a battery in , Mornington, Howrah, Montagu Bay, Rosny, Lindisfarne, Bellerive, Rokeby, Oakdowns, Lauderdale, Tranmere, Roches Beach, Sandford, Cremorne, Clifton Beach, South Arm, Opossum Bay, Seven Mile Beach, Cambridge or surrounds, we can assist you. We are a full battery specialist store with battery management systems, battery cables, battery terminals, tie-downs, battery boxes, fuses, car and trailer accessories such as trailer lock, Andersen plugs and fitted with specialist local know how. We have everything you need in battery accessories, dual battery kits, battery trays, 12V battery accessories plus a range of other batteries. Marshall Batteries Bellerive is also a Battery Collection centre. Bring your used lead acid battery to this location for safe and responsible recycling. Environmental stewardship and recycling is a major focus in all Marshall Operations. Marshall Batteries manufactures new batteries which are 98% recyclable and 85% comprised of previously recycled materials, so help us support our environment and re-cycle Used Lead Acid Batteries (ULAB) wherever you see this sign, right across the country. Marshal Batteries Bellerive provides a free extended battery warranty which covers you right across Australia, roadside day or night, for peace of mind.